Receive affordable and prompt skip hire services in Homerton and surrounding areas by calling professionals of Easy Go Skip Hire. Acting as an independent company, it follows the philosophy of "providing excellent waste removal services to customers, as and when required". Offering skip services of various sizes like 4 yard, 8 yard, 12 yard, 20 yard and 40 yard, we are competitive enough to meet both commercial as well as residential demands. Although, we operate in the number of areas of London like Homerton and surrounding areas, no compromise is made when it comes to offer effective waste removal services. All services are carefully performed and monitored by our trained professionals. Additionally, quality services are offered at the best possible market prices, thereby providing complete value for money skip services to our esteemed customers. 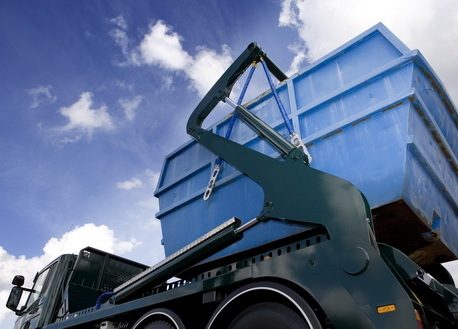 Even if you are not sure about which skip size services are needed to hire for removing waste from residential or construction site, call our professionals and allay your confusion. Stay assured, all waste products will be handled carefully and disposed at licensed recycling centres. Proficient in accomplishing any size of skip services, we are professional service providers rendering services at the most competitive price range. So, book your skip services immediately and conveniently with our fully secured online ordering services. you can even call us at 020 3598 2242 and disclose your requirements to our professionals. We strive for arranging the delivery at the very same day.